"After Jesus was born in Bethlehem in Judea, during the time of King Herod, Magi from the east came to Jerusalem." 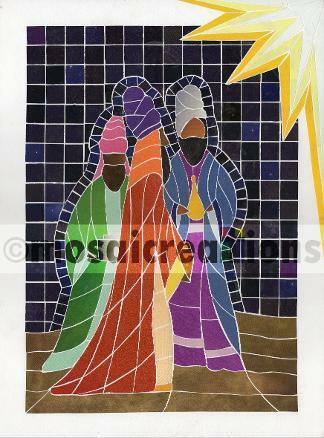 This piece is part of a series, along with "Mary", focused on Christmas themes. This was an opportunity to use many of the vibrant rich colours available in the magazine pages.